You might have all the right ingredients for a stellar bathroom remodeling project: good ideas, well-researched designs, and even luxury materials, but it takes a skilled contractor to pull it all together. According to Keystone Homes, one of Troy, OH's leading custom builders, your choice in contractor can be the difference between having the bathroom of your dreams or a construction nightmare. Ask For References: Word-of-mouth is still the best way to find a good contractor, so ask family, friends, or coworkers who've recently undergone a remodel they can recommend someone who completed the job to their liking. Websites like Angie's List can also be an invaluable resource, allowing you to get an idea of what to expect from a contractor before you call. Get Several Quotes: You should never hire the first contractor you meet with, even if you love their bathroom remodeling ideas. Getting estimates and sharing ideas with at least three different companies will give you more options and help you understand the trade-offs involved in balancing price and project scope. 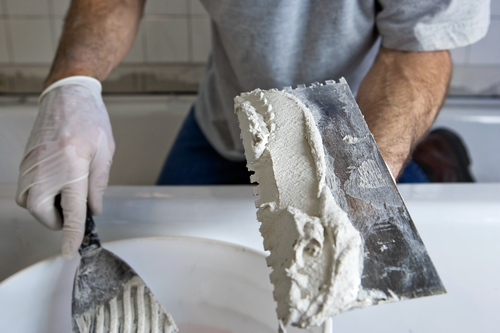 Go For Experience: Of course, new companies are perfectly capable of delivering quality work, but with something like a bathroom remodeling project, you're almost always better off hiring the company with the most experience. If a contractor has been remodeling homes in your area for decades, you can be reasonably certain they know what they're doing. Get Detailed Estimates: As with any construction project, ask for itemized estimates, so you can compare your quotes side-by-side. If a company refuses to provide you with those details, it’s a clear sign you should continue looking. When it comes to renovations and new home construction, no one beats Keystone Homes. Throughout the area, they're renowned for their expertise and commitment to their clients, so visit them online, or call (937) 332-8669 to discuss your bath remodeling project today.